Amazon is doing all it can to make sure that it is the go-to place for anything and everything that we order online and in order to make that possible it launched Amazon Key last year. A service that allowed customers to give delivery drivers access to their homes in order to drop orders off unsupervised, the feature was both genius and terrifying in equal measure. Now Amazon is taking things a step further by launching Amazon Key In-Car, a service which allows deliveries to be placed in a customer’s car without being present themselves. Amazon says that the whole thing will be available to Amazon Prime members with no additional costs, although there are caveats. 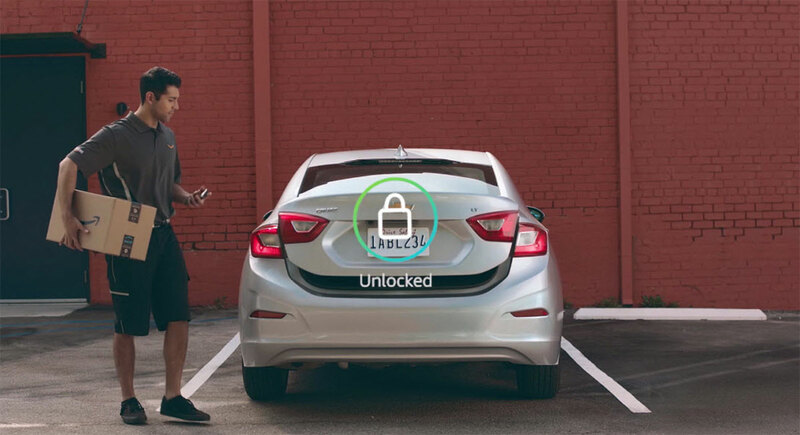 The biggest of those is the fact that this will only be available to those with specific cars from specific brands, namely Chevrolet, Buick, GMB, Cadillac and Volvo due the technology required in order to allow Amazon to remotely unlock the car. “Since launching Amazon Key last November, we’ve safely delivered everything from cameras to collectable coins inside the home. Customers have also told us they love features like keyless guest access and being able to monitor their front door from anywhere with the Amazon Key App,” said Peter Larsen, Vice President of Delivery Technology, Amazon. Amazon assures customers that everything is nice and secure thanks to the multiple layers of verification required when a delivery is being made, with Amazon notifying users when a delivery has been made and that their car has been relocked. We’re still not sure we’d trust the whole system ourselves, but if you really need a parcel to be delivered and your car is the only place that can happen, then Amazon Key In-Car launches today across 37 cities in the United States. For those that have hatch backs without keyless entry to them….we be out of luck..lol Not that I’d trust it anyway. As a courier myself , I gotta say amazon is a joke. No wonder there business gets capped every year , even the big couriers don’t want the BS that goes with this company. So now they think drivers have time to find cars in parking lots? Get real amazon. Save this for your own delivery service that you’ve been talking about for so long?